All content published on Coffee Chatter is mine, unless stated otherwise. I am the legal copyright holder of all the material published and without my written consent it shall not be reprinted, (partially) modified or published anywhere else. A link to Coffee Chatter must appear in all copies of any pictures/artwork or content. If you are visiting Coffee Chatter for the first time you might have had a notification at the top of the page pop up, letting you know that this page shares cookies with Google. The reason why is so that Google can remember information about your previous visits (e.g. preferred language etc.) to this site (and all other sites), so that your next visits would be easier and your browser would automatically remember your preferences. I do not have the ability to do anything about it/stop it so I apologise for any inconvenience caused. 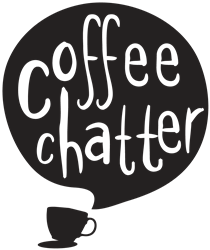 Thank you for visiting Coffee Chatter!